Gravediggers exist in the popular imagination as a ghoulish breed. But what is the reality? Scottish gravediggers Stevie and Bobby teach Cathy FitzGerald how to dig a grave. Gravediggers exist in the popular imagination as a creepy, ghoulish breed. We keep them safely at a distance where they can carry the weight of our fantasies and fears about death. But what's the reality? And what lessons are there to learn six feet under the ground? Scottish gravediggers Stevie and Bobby teach Cathy FitzGerald how to hand-dig a grave. 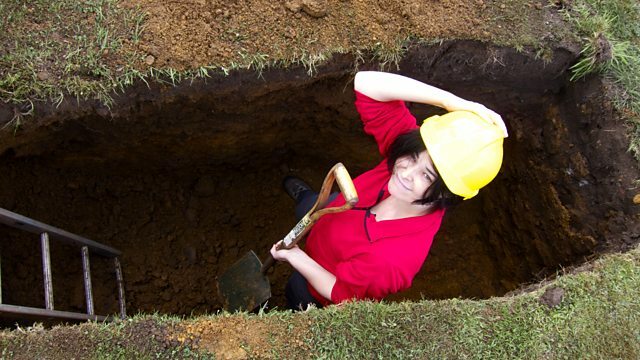 "Broadcaster and documentary-maker Cathy Fitzgerald goes behind the scenes, as it were, to find out what it’s like to be a grave-digger. "Strange to use the word ‘delight’ in connection with grave-digging, but this programme is one. This is partly due to Cathy Fizgerald’s unexpected, sharp, and sometimes funny, narration and partly to the engaging personalities and riveting anecdotes of the two Kilmarnock gravediggers, Stevie and Bobby. "No sentimentality here and no false piety, simply the real ‘down to earth’ recollections of these two men – sometimes hilarious, sometimes very moving, and the contributions of a historian, an author, and the man from the council. Plus some lovely songs. "The documentary happens before your ears, on-site, and – always fascinating to hear – in work mode. So a grave is dug as we listen and what is revealed is more than a hole in the ground. Great." A selection of great documentaries chosen by legendary radio producer Piers Plowright.